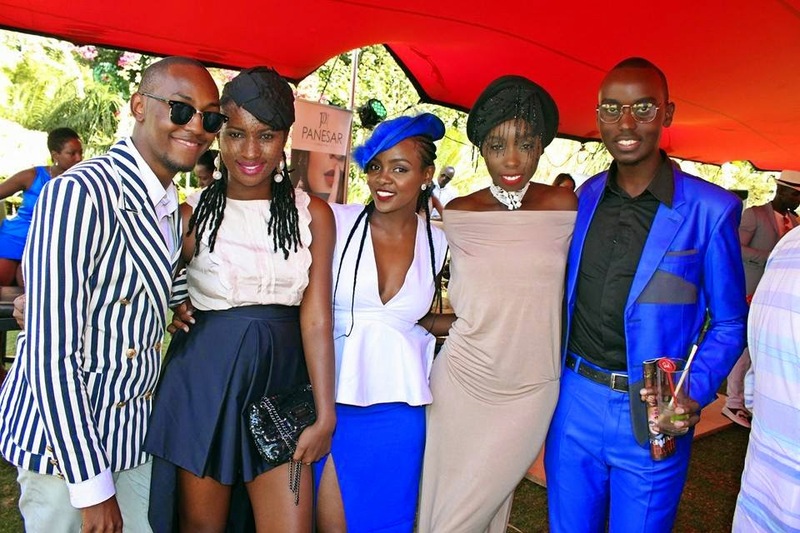 The most anticipated date in Nairobi's fashion calendar, this year, has come and gone in a weekend of glamorous runway shows as well as exclusive mini boutiques that marked the annual Fashion High Tea at Zen Garden. This fifth edition took place on Saturday, 7th February, with proceeds from the event going to the 'I Support My Daughter' campaign which aims to educate women in Samburu. Having previously attended this event in 2013 and 2014, I had a pretty rough idea of what to expect. Now in one sense, I was all excited, but with my dreams of writing a complete round-up of the event as well as taking some snaps of the guests in attendance, skepticism was high. Upon entry into Zen Garden with my co-blogger Olav Arthur Mburu, the first thing that caught our eyes was the incredibly dapper crowd who had come to celebrate an afternoon of fashion and frivolity. The ladies came out in their best colourful hats and dresses while most of the men chose to go for slim fitting blazers and pants. 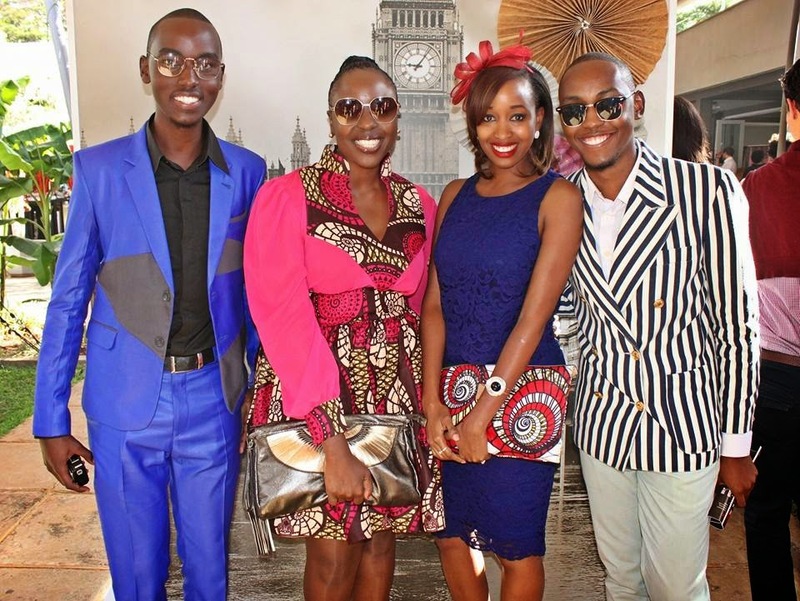 Sunglasses were all the rage for nearly everyone in attendance thanks to the ever bright Nairobi sun. This year saw more people wearing African prints than in previous years, but the main highlight was an array of playful prints and bright colour shades. The fashion show featured breathtaking designs from top local and international designers such as Boutique Mahali, DivaBag, Drop of a Hat, Koki Designs, Lalesso, Njema Helena, Needle Point, Shenu Hooda, Simply Classics Africa, Suave and Vaishali Sarees. This year saw the rise of promising emerging designers who – from both a trained and untrained eye – managed to rival the creative flair and ability of the established powerhouse designers. Throughout the event, guests enjoyed savoury dishes and desserts from the high tea menu, as well as top of the class drink selections. Various mini boutiques at the venue showcased and sold an array of fashion garments, shoes, accessories and jewelry. 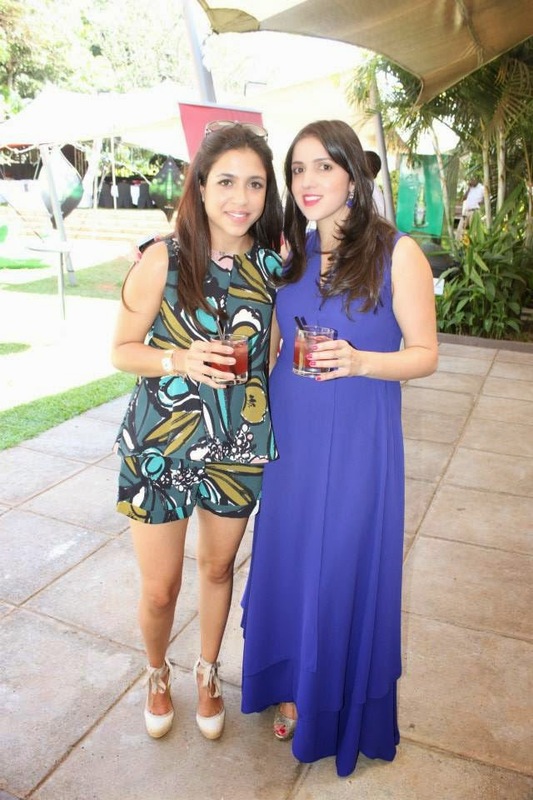 Enjoy pictures from the event below and we're looking forward to seeing you at the next Fashion High Tea. From left Vonette Von, Lucia Musau and Wambui. Some of the savoury delights on offer. Quite some powerful pics you managed to get! Plus the article makes one feel like they were there.